As the world’s leading company for compressed air, we understand your need for premium quality air solution to help build and improve your business. That is why we make sure that not only our products but our team and our services all work to provide you with excellent customer value. We tailor our services to cater to your specific processes, needs, and goals. As your partner, we work closely with you to ensure that we help maximize the productivity of your business. 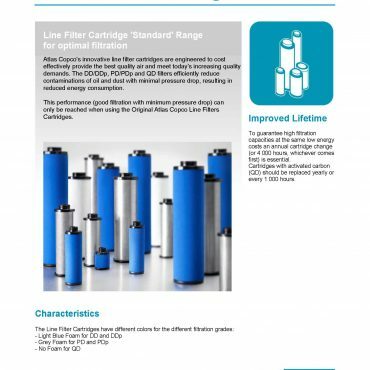 The line filter cartridges from Atlas Copco ensures excellent performance when it comes to filtration with its top quality media with larger filter surface. Our synthetic foam provides efficient drainage of oil droplets as well as dust filtration for bigger particles. You also get noticeably shorter down time and easier service with our push on element. You can benefit from our unique design and achieve reduced pressure drops, and therefore, lower running costs, too. Increase energy savings too with the double O-rings that properly seals the cartridges and avoids leakage risks. Lastly, prevent element corrosion and implosion with an impressively strong metal core. Aiming to optimize the performance of Atlas Copco compressors at the longest lifetime and at the lowest possible cost, we engineered lubricants with the right properties to achieve just that. With an amazingly unique blend of chemical properties, our lubricant performs dedicated functions at an optimal level. 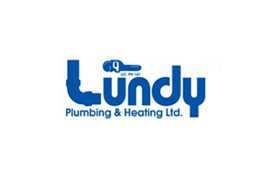 They are made to reduce the total service cost with their longer effective lifetime. That means less oil drains, extended oil drain intervals, and of course, less impact on the environment. Why take the risk of possible breakdowns? Why jeopardize the quality of your compressed air with non-genuine parts? You can avoid that by choosing genuine Atlas Copco parts. Making use of Atlas Copco’s genuine parts means getting longer life expectancy, reliability and productivity, energy savings and cost effectiveness, superior quality, and world class logistics.